we’ve experienced throughout April. 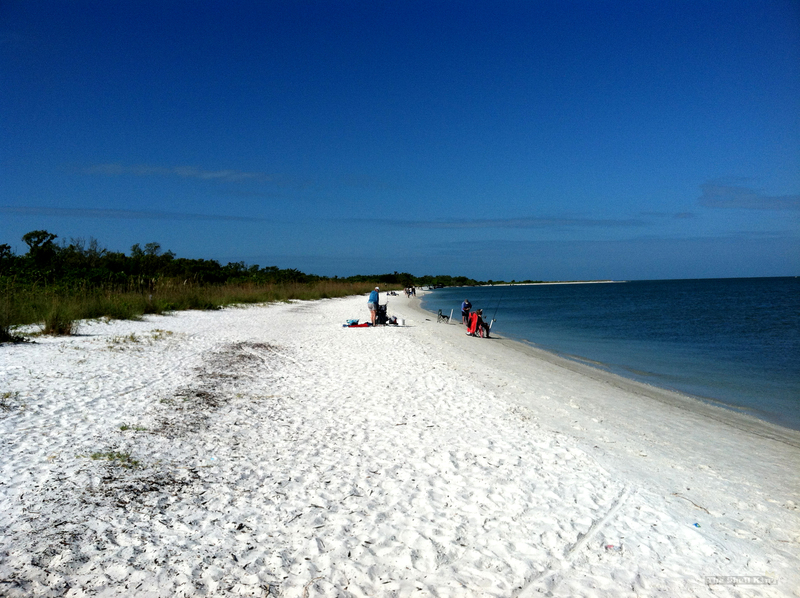 So this month’s stop on the Florida Beaches Royalty Tour is the very close and really relaxing Lover’s Key State Park. We’ve been coming to Lover’s Key for many years now. 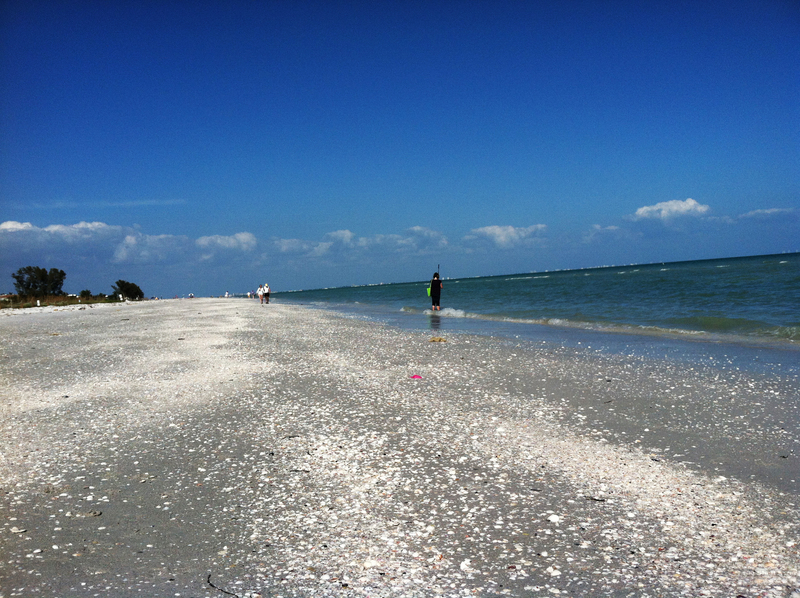 It’s a bit more laid back and family oriented than say Fort Myers Beach or even Sanibel Island. 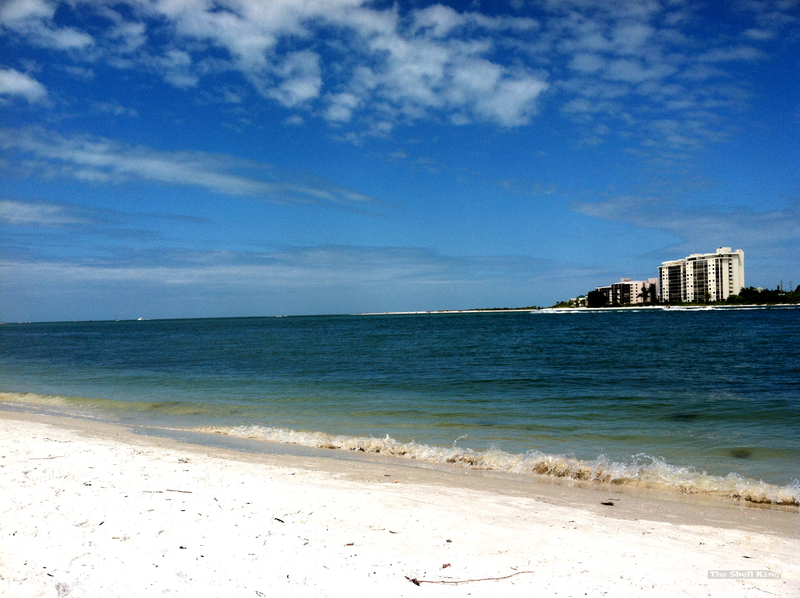 The water is much calmer, the sand is sugary and almost white and the atmosphere oozes “relax”. 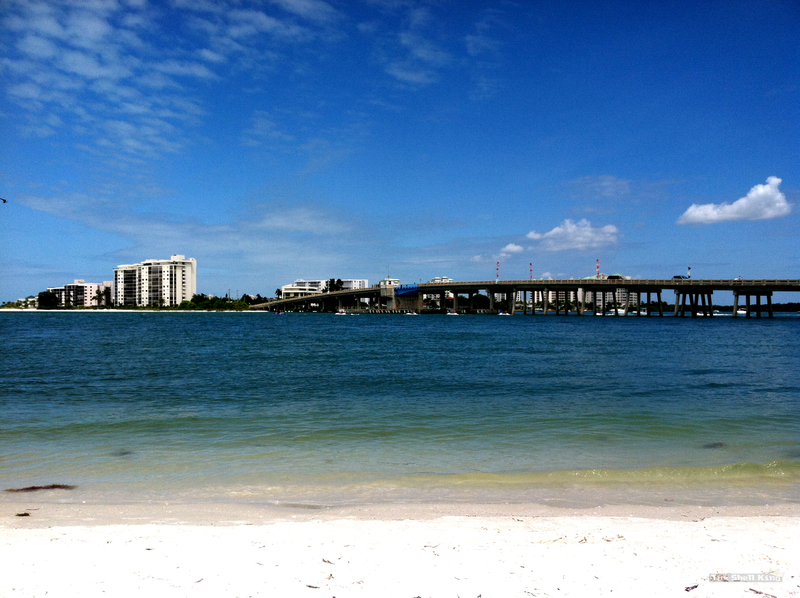 You’ll see dolphins, manatees and birds of all kinds. Lots of fishing, lots of boating and jet-skiing, camping and lots of bicycling. The water isn’t particularly clear, but the atmosphere makes up for it. The story of Lover’s Key is that it received its name due to the fact that it was only available by boat and only lovers would make the journey to the island. Even now, it certainly has that feel about it. It’s $2 per person to park and there’s no time limit to stay, other than the park hours of 8am to Sunset. Spend the day for two bucks? I’m in, bro. 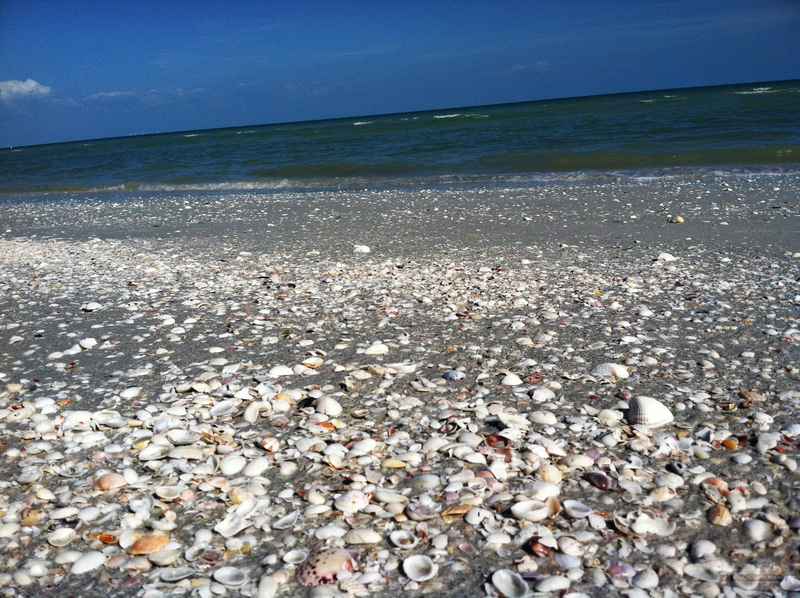 Local shellers say that the beach is known for three shells in particular – Sunray Venus Clams, Rose Petal Tellins and Lightning Whelks. They are certainly there. Unfortunately, I didn’t have the time to take a bunch of pictures of our finds (and a couple we’d never found before), but I will get those up on the site as soon as I am able. 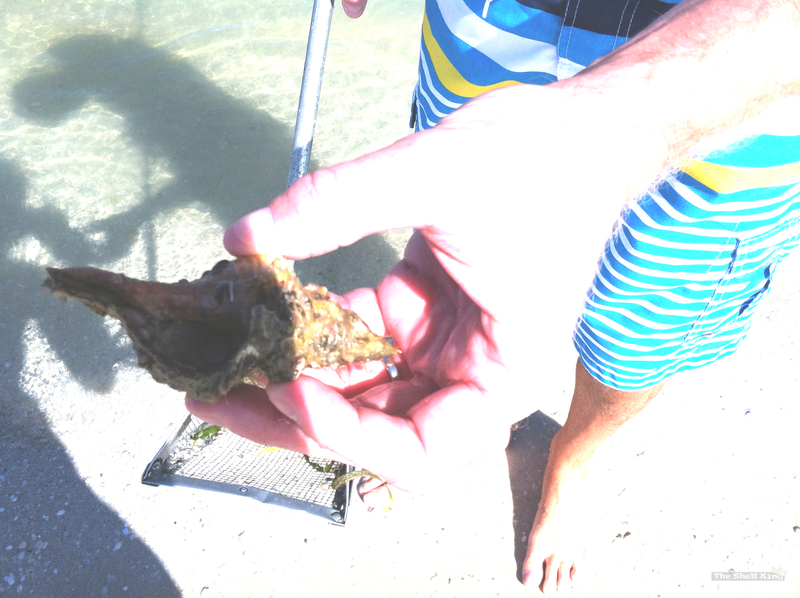 But much of what we found in the water was alive – Fighting Conchs, Lightning Whelks and Horse Conchs, primarily. 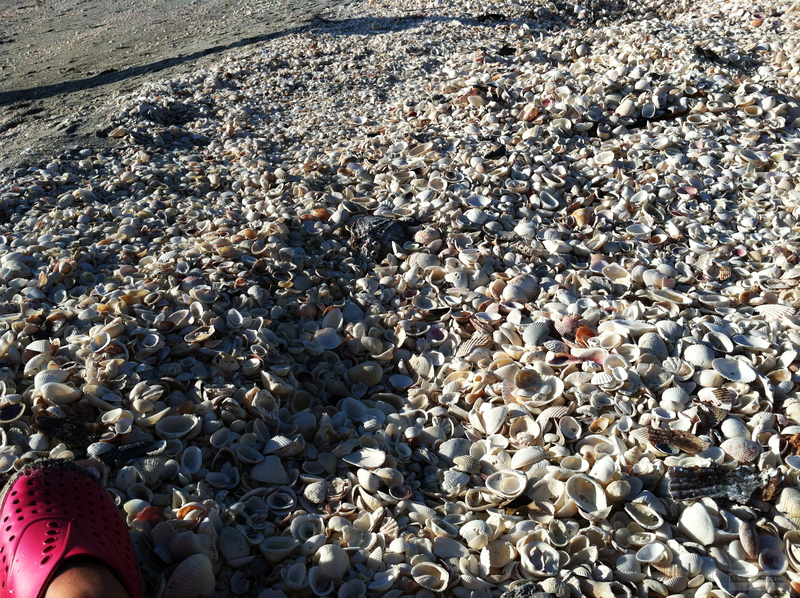 Queenie took the time to place each and every live shell washed on shore back in the water. 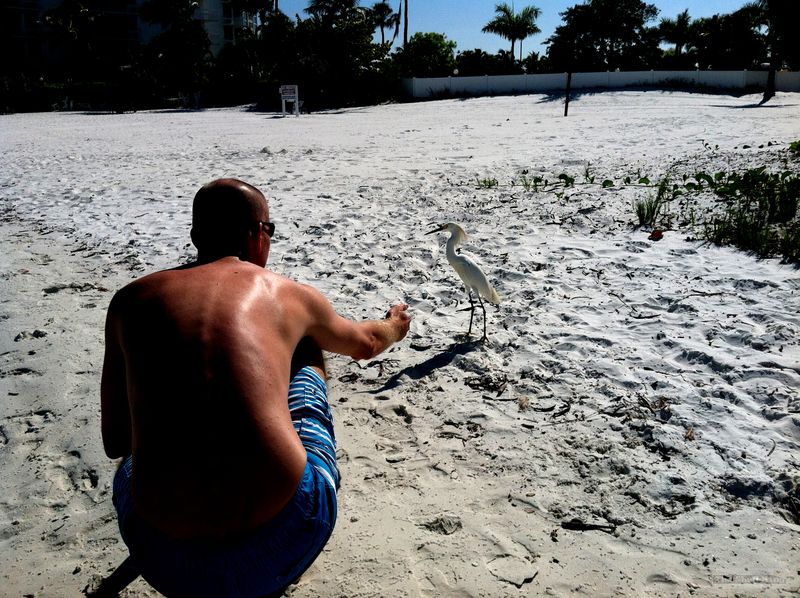 But in my opinion, the wild life at Lover’s Key is what really steals the show. This poor little White Egret had a hook in his wing. I tried to coax him to come near so I could remove it, but he was a bit too skittish. 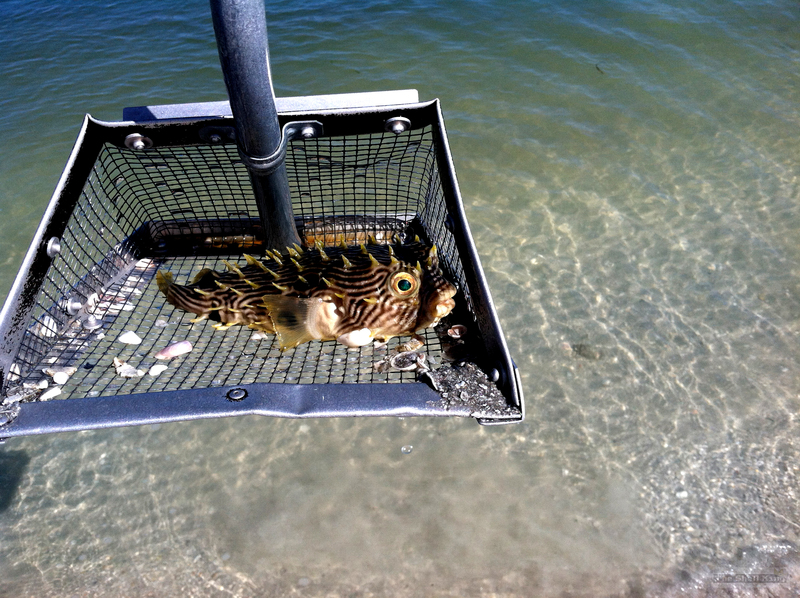 and this relaxed Pufferfish just swam into my scoop. He sat quietly while the Queen snapped his picture. 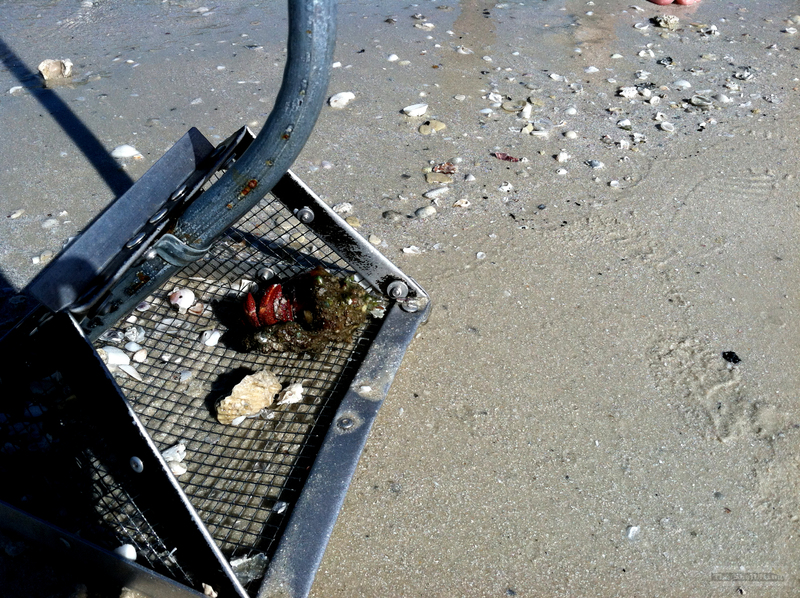 The Fighting Conchs were in abundance, many filled with angry Hermit Crabs. 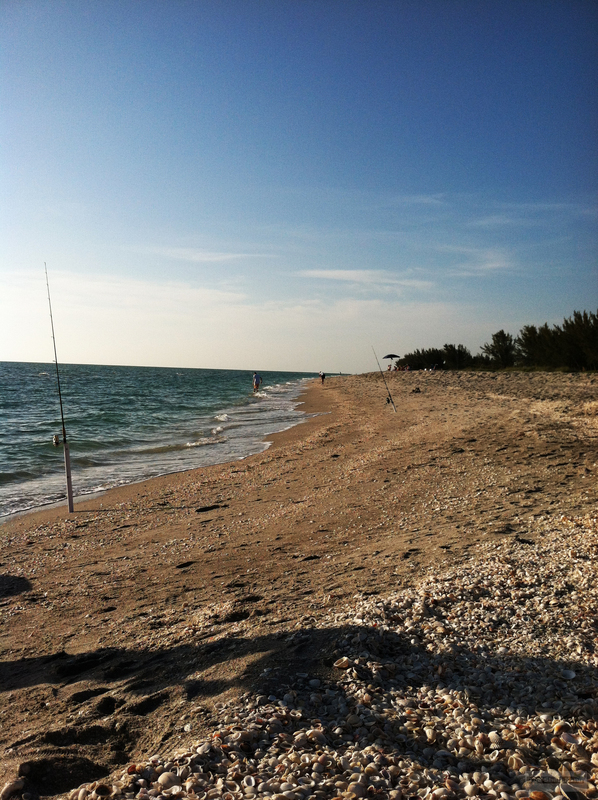 Lover’s Key Beach really is a wonderful place to chill, relax and enjoy the beach. With so much to do there at the park, and for only $2 it’s certainly worth the stop. 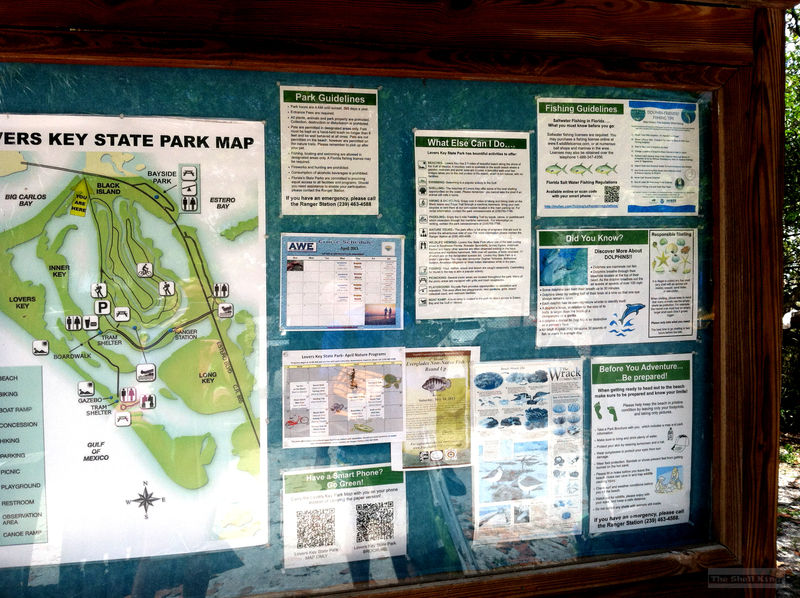 So make a plan one Saturday or Sunday and make Lover’s Key State Park a destination. I should probably get my act together when it comes to stating which beach we go to on Thursday (or in this case, Wednesday) Thunder. Wednesday night we stopped off at Gulfside City Park. 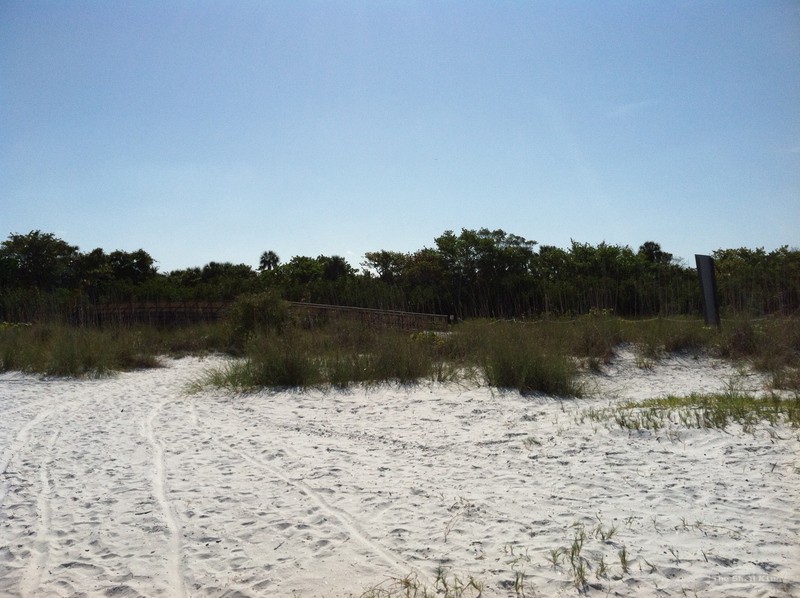 We almost stopped instead at Tarpon Bay Beach, which I’ve been calling “Pine Cove Beach”, since the Pine Cove Resort sits right there at the water’s edge. Silly me. So anyhow, we had other plans on Thursday, so the beach took a back seat to pre-made plans and Wednesday Thunder was revisited. GCP was in full effect. Warm water, lots of mini shells. 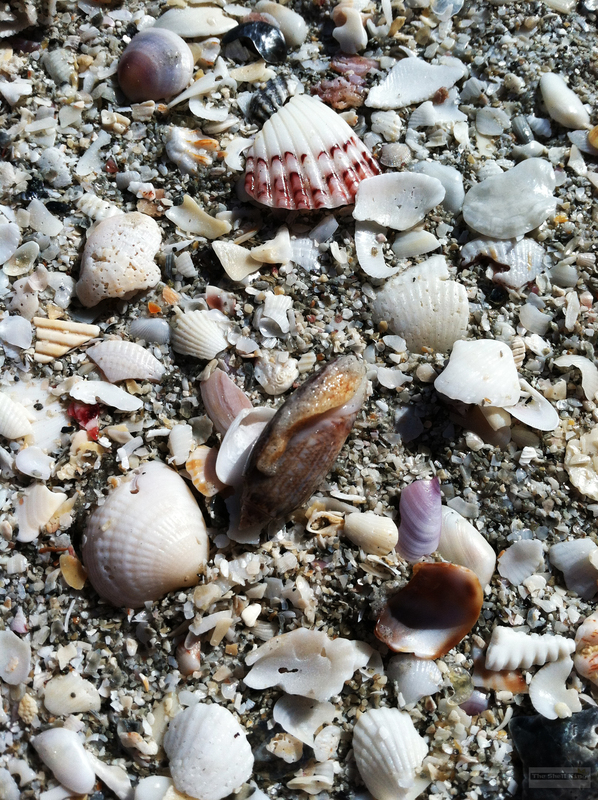 Wentletraps, Mini Horse Conchs, Lightning Whelks, Coquinas by the palm full…and mini Sand Dollars. I also scooped up this little live Olive. He didn’t like being in the scoop and tried to make his way anywhere but near me. 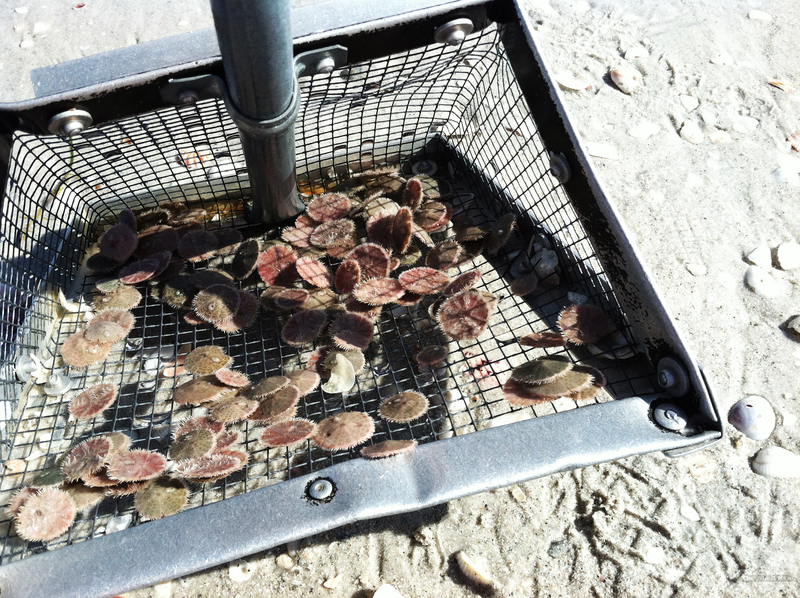 I was wading out and scooping up these little Sand Dollars by the ton. There were thousands of them. 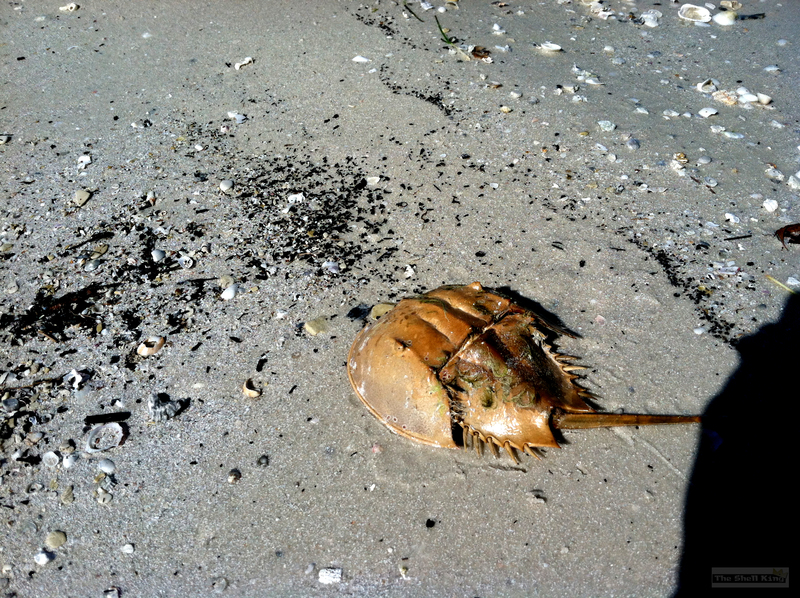 I had to get out of the water because I was stepping on them…and I didn’t want to kill any on accident. As I mentioned on Instagram to our friend Karen over at The Essential Beachcomber, I’m sure many of these live Sand Dollars ended up in some tourist’s beach bag. No doubt, suffering and slowly dying. 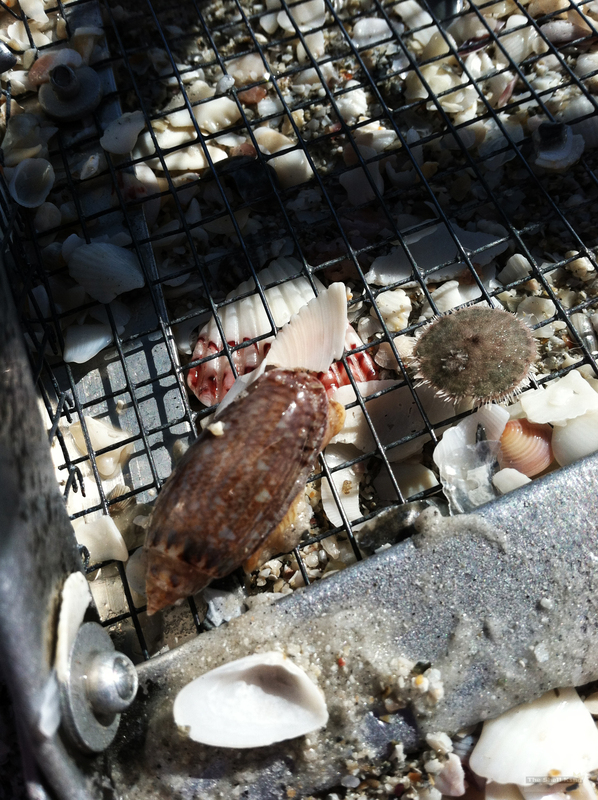 So some thing to keep in mind when you’re visiting/shelling and you come upon a live shell…..
1. Don’t throw it back in the ocean. Gently put them back in the water. 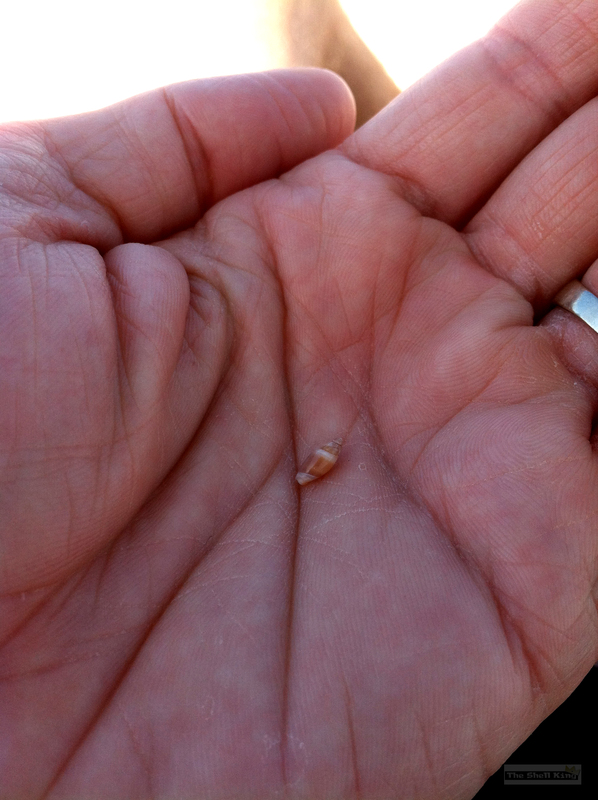 I can’t tell you how many times I see people with a live Fighting Conch in their hands and chucking them back into the ocean like they’re trying to throw out the runner at home plate. Yeah see, that kills them. So don’t do that. I’m not very nice to people when I see them doing that. 2. When it comes to Sand Dollars or Starfish – if you’re not sure that they’re still alive, take a good look at the little legs on the Starfish and the whiskers on the Sand Dollar. If they’re moving, guess what – they’re still alive and you should put them back. You can also hold them in the palm of your hand. If it tickles, yep…alive. I know it’s tempting to take them, but please don’t do it. There are signs out there. Please read them. We wanted to hit BP before the sun went down, so we headed out that way. I heard the shell pile out there was gone. Ehhh, not so much. It’s still there, although it’s been picked through pretty well. 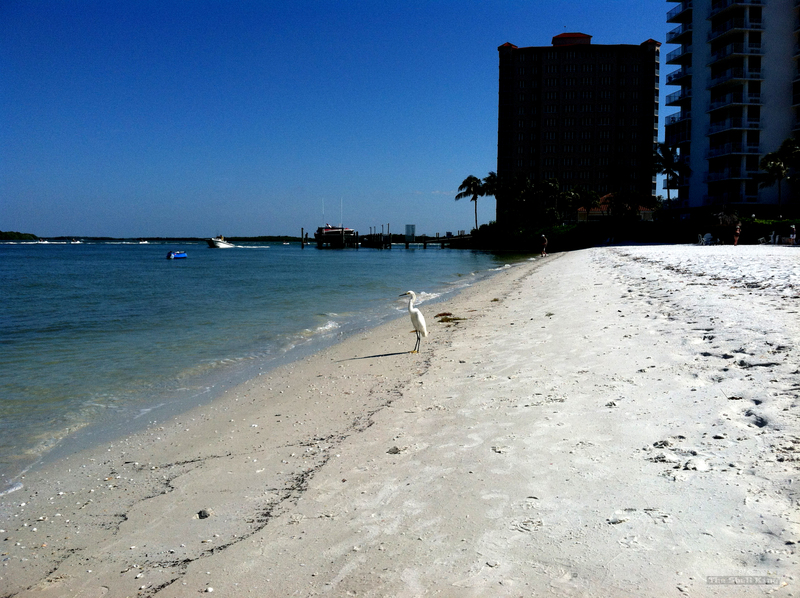 They’re continuing the dredge out there, so be careful along the rocks on the jetty side. That water gets to whippin’ pretty quickly and it’ll sweep you over if you’re not fleet of foot. Oh yeah, I almost forgot to ask…..Whattya think about the new design? Easier on the eyes? Easier to navigate? I took a look at the old design and thought the ol’ SK site needed a facelift. With the new design, we’re only showing the two latest posts, which should help the page load quicker (considering we’re picture posting happy all the time) but still offer the option to go back into the archives. Please let us know what you think. New or old?